We are delighted to announce that we have been shortlisted in the Great Food Club Awards 2018/19 for Fine Dining. You can see the full shortlist here https://www.greatfoodclub.co.uk/awards. It really is a team effort. We’re very proud of the food we serve our guests and the special experience we offer to everyone who visits. During our 20 years of serving modern British cooking in Nottingham we have built up a loyal following of dedicated diners and we are delighted to receive their votes. Winners will be announced on November 1. 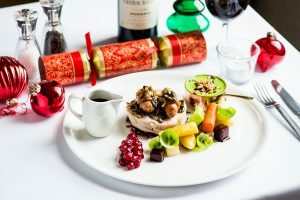 At Hart’s we are now focused on the lead up to the new year and taking bookings for a very special Christmas. It’s a wonderful time of the year to visit – to relax and enjoy a bit of indulgence. The team know how to pull out all the stops for a fabulous yuletide! Hart’s is located in Nottingham city centre on the old ramparts of Nottingham Castle. The 88-cover two-rosette restaurant is located in the former general hospital and serves a range of beautifully presented, great tasting food using locally sourced produce. Guests can choose from the a la carte menu with main course dishes ranging from £19-£32 or we have a two course set lunch menu available, which is priced at £22. 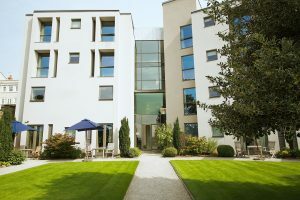 Focused on comfort and luxury, Hart’s also has 32 boutique bedrooms, each with king-sized beds, Bose sound systems and smart TVs, L’Ocittane toiletries, tea & coffee making facilities and free WiFi. There are also dog friendly rooms available with direct access to our private garden. 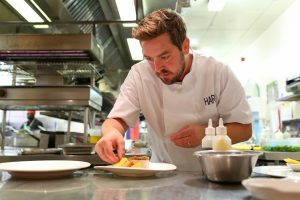 For more information on Hart’s Hotel & Restaurant and to make a reservation, visit hartsnottingham.co.uk or call 0115 988 1900.